Anis, Z., Sulaiman*, O., Hashim, R., Hasan Mehdi, S., Murad Ghalib, R. (2012). Radical Scavenging Activity, Total Phenol Content and Antifungal Activity of Cinnamomum Iners Wood. 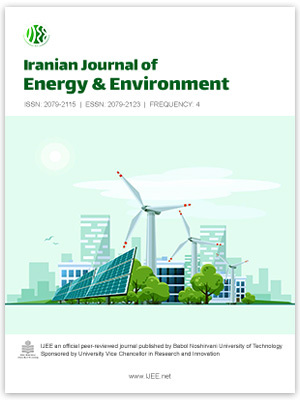 Iranian Journal of Energy and Environment; previously called: Iranica Journal of Energy & Environment, 3(5), -. Zurida Anis; Othman Sulaiman*; Rokiah Hashim; Sayed Hasan Mehdi; Raza Murad Ghalib. "Radical Scavenging Activity, Total Phenol Content and Antifungal Activity of Cinnamomum Iners Wood". Iranian Journal of Energy and Environment; previously called: Iranica Journal of Energy & Environment, 3, 5, 2012, -. Anis, Z., Sulaiman*, O., Hashim, R., Hasan Mehdi, S., Murad Ghalib, R. (2012). 'Radical Scavenging Activity, Total Phenol Content and Antifungal Activity of Cinnamomum Iners Wood', Iranian Journal of Energy and Environment; previously called: Iranica Journal of Energy & Environment, 3(5), pp. -. Anis, Z., Sulaiman*, O., Hashim, R., Hasan Mehdi, S., Murad Ghalib, R. Radical Scavenging Activity, Total Phenol Content and Antifungal Activity of Cinnamomum Iners Wood. Iranian Journal of Energy and Environment; previously called: Iranica Journal of Energy & Environment, 2012; 3(5): -.